This is a story that was first published on The Political Garbage Chute. 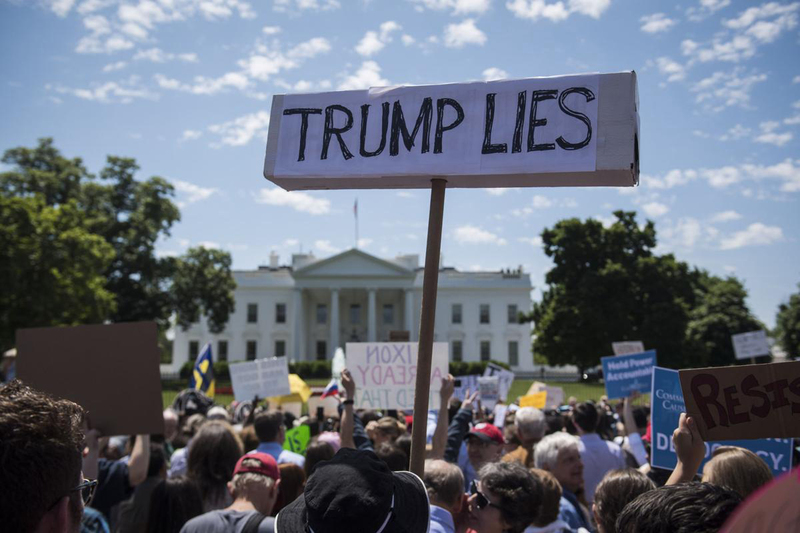 WASHINGTON, D.C. — As President Donald Trump prepares for his summit and annual performance review with his employer in Helsinki this coming Monday, millions of Americans have started showing up at The White House, protesting and demanding that the locks be changed before he comes home from his trip. Skip Tullerson told reporters that he was a lifelong Republican but didn’t vote for Trump. He wrote in John McCain’s name instead. He said he wanted to come out and ask for a lock change because he had a similar situation with one of his rental properties. When she heard that Trump was leaving on his international trip, Helen Sankribish, a third-generation American whose grandparents immigrated in the 1950’s, said she decided to run down to the White House to see if she could convince the staff to change the locks. A White House staffer appeared on the lawn at just past noon and told everyone while she could “really very much so sympathize” with all 250 million Americans there, that it simply was not constitutional to change the locks on the president while he was gone. When it was suggested that since President Trump doesn’t like the Constitution and has complained about how “arcane” it is in the past, that gives everyone a right to ignore it, the staffer just laughed and reiterated that as much as she’d like to, she couldn’t just evict the President of the United States of America. The Trumputin administration could not be reached for a comment on this story.